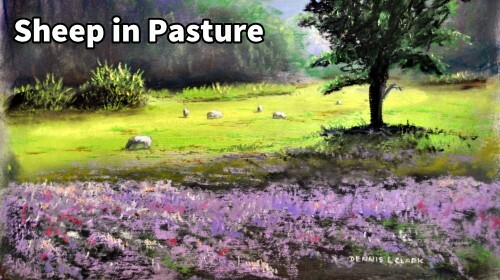 Pastural scenes are always restful and refreshing. There just seems to be something about sheep grazing in the fields. I suppose it is because they are such docile creatures. 6. How to Paint the flowers in the foreground. As always, a pleasure to follow your classes. 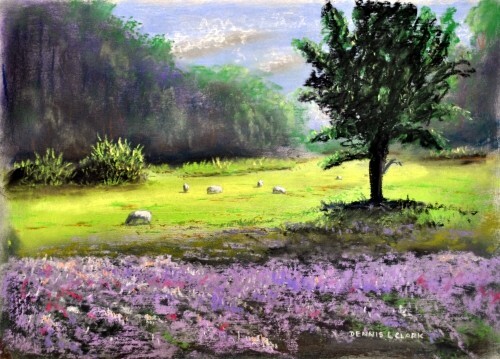 It was my first experience of pastel – loved it! Can’t wait to try some more….